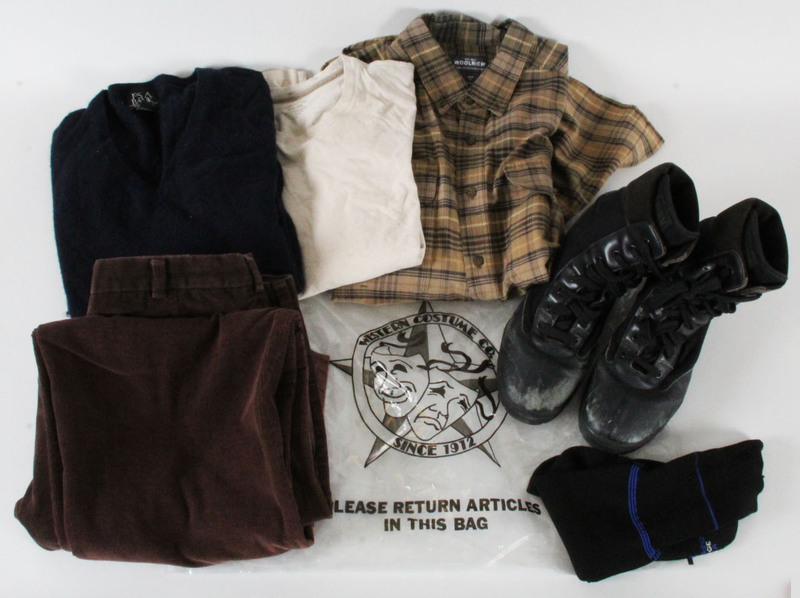 Presented here is Jon Voights stage-worn costume from the movie National Treasures: Book of Secrets in which he played the role of Patrick Gates. This costume is from scene #247 where Patrick is stabbed. Patrick and his son Ben Gates are surprised by Mitch Wilkinson’s claims that their ancestor was a conspirator in the assassination of Abraham Lincoln based on the missing page of Booth’s diary that he possesses. Outraged, together with his wife, Abigail they head to France, England and Washington to collect clues to prove his honor.